The best reasons to give friends DVD(s) for their Birthday is because you can take it out of the wraps and watch it together. And what better to way to bond than to watch, laugh and cry together with a couple of classics and old friends? Or even bond with new ones! 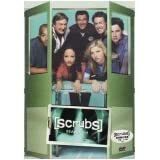 Here's my list of Top 5 DVD Gifts for Friends -- and of course watch them together! 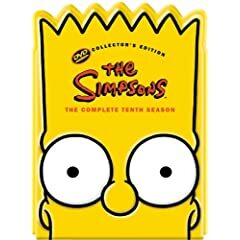 I don't need to tell you what the Simpsons are all about but I found that this Bart Head Pack DVD is way too cool to miss out. It's going to be a great birthday gift for anyone! Charmed is all about friendship among sisters. We all have our individuality and our quirks, our moods. Friendships suffer over time when things aren't going the right way but friendships over time can develop strong bonds. So even if you're facing monsters or demons or doing just plain household chores, friendships count in the end. Charmed is a great birthday gift that all of you can get lost in the fantasy world of the three sister witches. Think about it for a minute, I mean Ryan wouldn't survive his ordeal in the OC if it wasn't for his friends. And how you deal with problems and overcome challenges with your friends really matter in the end. If your friend is a big fan of the OC then I highly recommend getting them the Season 1-4 DVD gift set. Before there were FRIENDS there were the quirky neurotic friends of Seinfeld. There's a lot of reruns on TV but somehow you keep missing them. Having a DVD is the best way to pull an all nighter or a private Seinfeld party marathon. Besides, it's a really good classic sitcom. If you're having drinks around the house you might want to check out this game from the Bar Meister. My friends are very dear to me so I always think way too hard about what gifts I should get them. This year, I am sticking with the ever so popular personalized friend gifts. That way, I know they will like it.